While bats can be fascinating creatures, they can also carry diseases and can wreak havoc on your home and property. Some people will ignore bats until they become an issue while others will try to take care of the problem themselves, or hire an inexperienced person to help with the bat removal. 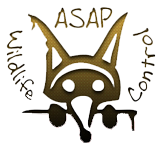 At ASAP Wildlife Control and Removal, we understand that you’ve invested a lot in your property, and you want to be sure that bat control is taken care of humanely and efficiently. Let us help you with our bat removal service—we can repair any damages and get your home back to its safe and bat-free state. If you’ve only seen bats around your home at night but have never discovered where they were living, there is a good chance they are closer than you think. You may be concerned that there are bats in your attic, which is a common place for them to roost because it provides them with a safe place to sleep and they are often not disrupted. If you think or know that have bats in the house, don’t hesitate to call in the experts at ASAP Wildlife Control and Removal. What Does the Bat Removal Service Provide? 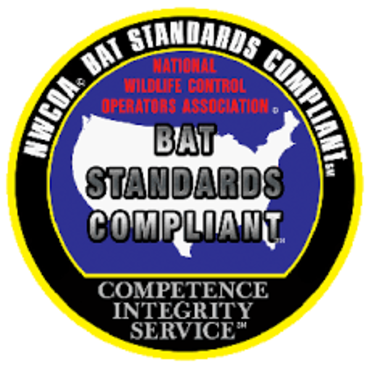 When you’re in need of a bat control service, you want to bring in experienced professionals who can remove the animals in a humane way using the proper tools and techniques to ensure that the problem doesn’t arise again. We have extensive knowledge of wildlife issues in the greater Richmond area, and bat problems happen to be a specialty. We safely handle all aspects of the bat exclusion from the moment you call until the final repairs are completed on your house. It’s important to us that we leave your home better than we found it because we know that bats can leave some damage behind. We have the skills to repair and clean the damaged area. And we don’t just leave it looking good after the bat removal service, but we take care of any odor, droppings, and other problems that may have been left behind. What Are the Next Steps After Discovering Bat Problems? If you’ve discovered a bat problem, don’t hesitate to contact the experienced team at ASAP Wildlife Control and Removal. We’ll schedule an appointment and answer any and all of your questions. Monday-Sunday: 24 Hours A Day! Our support is available to help you 24 hours a day, seven days a week. Just send us a message or call us anytime! We are Virginia’s most trusted wildlife control service! Animal removal is often a stressful situation that usually requires professional wildlife removal services. The experts at ASAP Wildlife Control and Removal can help to remove any animal from any situation in need of wildlife removal. We offer both residential animal removal and commercial animal removal as available options. The trapping and relocation of nuisance animals is always the best and most humane method. If you are having problems with groundhogs (aka. woodchucks), squirrels, opossums, or other destructive nuisance animals, contact one of our offices to discuss the best avenue to take. Our wildlife control methods are highly effective and efficient. Whatever your animal problem is, you can rest assured that ASAP Wildlife Control and Removal can handle it. We offer full service bio-hazard cleanup and disposal as well. We dispose of droppings, urine, hair, food waste, parasites and a host of other odor related substances. The pest has been removed from your home and repairs are finished. What about the odor that they left behind? We offer decontamination and deodorizing services to eliminate this odor and bio-hazard. When pest problems occur and animal control services are necessary, don’t hesitate to call the pest control professionals at ASAP Wildlife Control and Removal. We can help solve your wildlife control problems right away! To contact us for pest control services, call (804) 516-1000 ASAP!